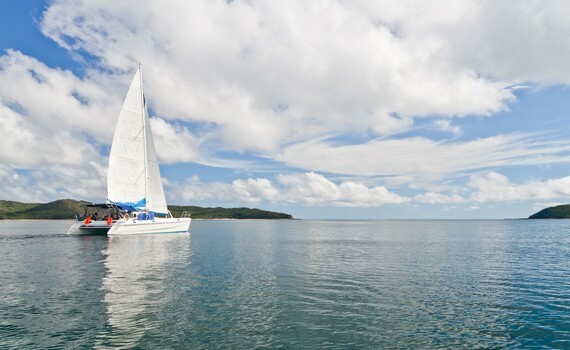 A Yacht Charter Split will give you a holiday you will never forget! ...and wanting the holidays to last forever! With us. Split is considered by many to be the starting point to any exploration route of the central Dalmatian coast. The most interesting Split charter sailing routes are the ones around the islands of Šolta, Vis, Hvar, Brač and Pakleni islands, as well as coastal towns of Trogir, Kaštela and Makarska riviera, very popular for its white pebbled beaches. The most outerly lying island in the Adriatic. There are two municipalities on the island - the town of Vis and Komiža and several small villages worth visiting, including Podselje, Marinje zemlje, Podšpilje, and Podstražje. Indigenous vine species cultivated on the island are Plavac Mali, Kurteloška, and Vugava (viognier). This historic "Treasury of Art" town is a UNESCO World Heritage Site definitely worth visiting on your sailing holidays. It is the best-preserved Romanesque-Gothic complex in all of Central Europe. Trogir Riviera counts 20 islands, numerous islets, small counties and villages which you can easily reach from ACI marina Trogir. Luxurious yacht with sleek coachroof, long side windows and fully integrated mainsail arch. Ideal for family vacations. Fully equipped, elegant, modern 6-cabin luxurious cruiser for most enjoyable sailing experience. For up to 12 persons. Comfortable and safe for coastal or offshore sailing. Stunning seaview, ample space for sunbathing. For up to 8 people. One of the most popular yacht charter spots, Split is considered by many to be the starting point to any exploration route of the central Dalmatian coast. Charter a yacht in Split region to explore its coastline and wonderful surrounding islands. You can choose between motor yachts, sailing yachts, catamarans and gulets throughout the sailing season that lasts from early April till November. 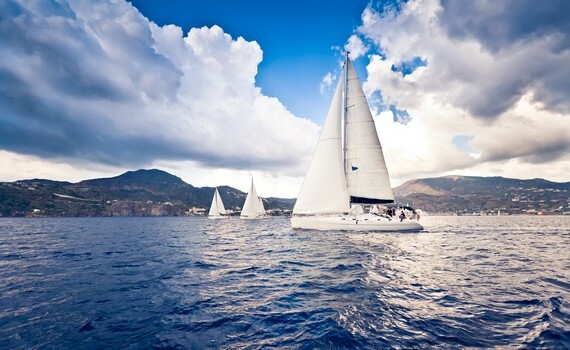 The best season for sailing is early summer with good winds in May and June blowing from S/SE. The winds during July and August are calmer. Summer temperatures are between 26 to 30°C, with the sea temperature about 25°C. If you travel by car, there is a highway connecting Split with Italy, Slovenia, Austria and Hungary and bus lines from the main towns of Croatia, as well as the train lines from Zagreb and Rijeka. There are regular ferry lines from Rijeka and Dubrovnik, as well as Ancona, Pescara and Bari in Italy and to the islands in Split aquatorium. The nearest airports are in Split, Zadar and Rijeka. 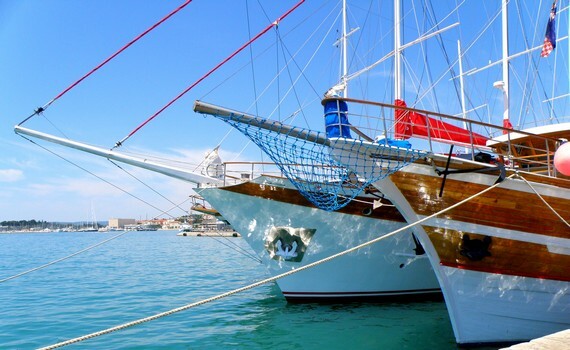 Split offers top yachting services in its largest marina in the region, ACI marina Split situated North of the Sustipan Peninsula which has been awarded the "European Blue Flag". Other marinas in Split include Špinut (Marjan); the Poljud and Zenta (Split). ACI Marina Trogir, Marina Zirona, Marina Kaštela, ACI Marina Milna, Marina Tučepi, Marina Podgora, ACI Marina Vrboska, ACI Marina Palmižana and Marina Agana are all popular stopovers on the Split region charter sailing routes. Last but not least is base Rogač - small private base, with personalized service, situated in a quiet cove on the island of Šolta. 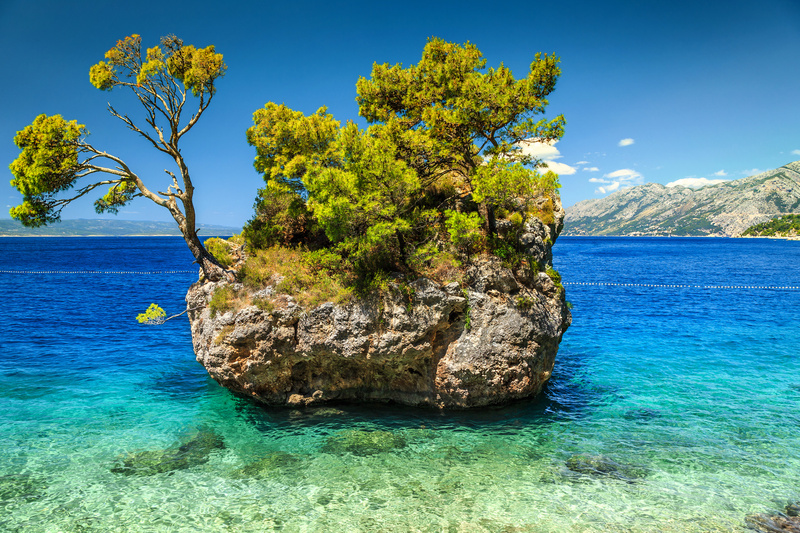 The most interesting Split charter sailing routes are the ones including the beautiful ports, bays and coves around the islands of Šolta, Vis, Hvar, Brač and Pakleni islands, as well as coastal towns of Trogir, Kaštela and Makarska riviera, very popular for its white pebbles beaches. To find out more about Croatia and its beautiful destinations, we offer you other specialized pages, such as Sailing Croatia Boats, where you can find useful information on chartering a yacht in this amazing Mediterranean country. If you want to know more about specific types of yachts, visit our pages on power boats charter, catamaran sailing yachts or gulets, one of the most popular sailing options in the Mediterranean. 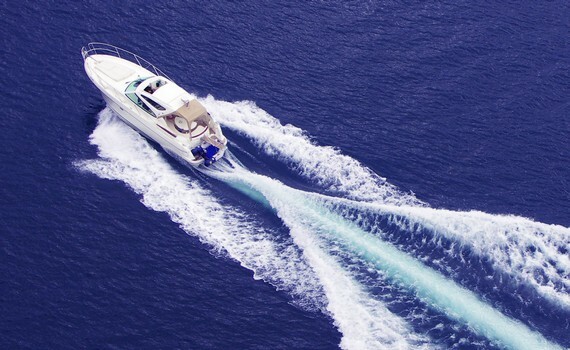 Choose from over 10,000 products in our yacht supply online catalog and everything you order now will await for you aboard your chartered yacht once You arrive! If You are looking for accommodation in Makarska Riviera and You are tired of searching for adequate apartment www.makarska-online.net is a great web portal dedicated to Makarska and it's surroundings.